On the 17th of November 2013, our team has been dispatched to the USJ Speedway Plus with a mission of getting the feel of the Supermoto racing in our country. 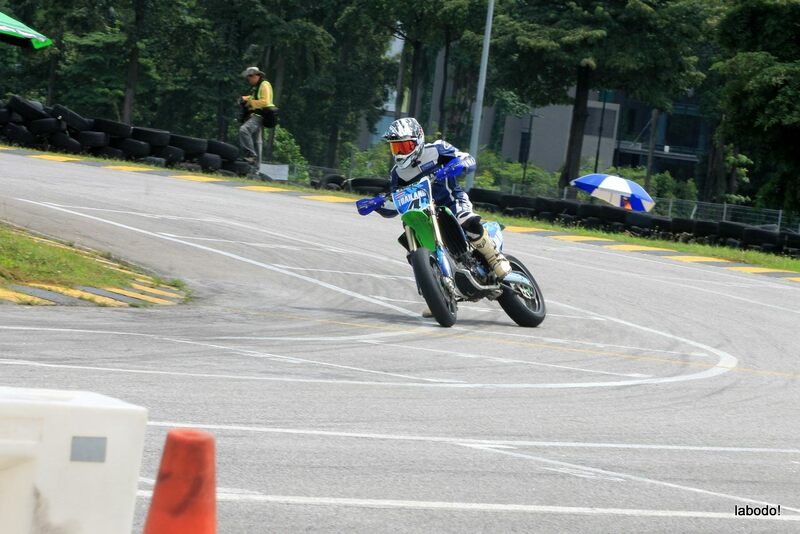 The Malaysian Supermoto Championship by Bike Nation and it’s partners clearly shows that the racing was fast, hot and exciting all at the same time. The hotness of the event was due to our climate which is normally always hot and humid all year long. That aside, we were pretty excited to be part of the event. Not a lot for us to say from our short stint at the event as we were busy trying to get the most exciting shots from the riders competing in all categories. One thing for sure, we had more fun in covering such race rather than the all boring Malaysian Super Series. Well, we tried to be part of MSS before and tried to work out in getting more people to come but it just didn’t work. It’s a whole different story for the Supermoto racing which sees the crowds reaction and support to the race and all the cheers when the riders went into a hectic situation on track. Our team had to leave early as they had another crucial assignment for Malaysian Riders and they went back with one thing in mind. They are sure to be back at the upcoming supermoto racing championship to witness the awesome racing displayed by the mixed of local and international riders. Be sure to check out our slow motion video and get a glimpse of the racing happening here in our lovely nation of Malaysia. Till next time, please do LIKE our FACEBOOK PAGE and SUBSCRIBE to our YOUTUBE CHANNEL for more of our contents in the future.